Dubai is getting ready to be the home of a brand iconic new water district called the Dubai Harbour, according to reports. The district is set to encompass several man-made islands and the largest marina in the Middle East, with a minimum of 14,000 berths, parallel to Skydive Dubai’s runway. Furthermore, this 20 million square foot project by Meraas will build the Dubai Lighthouse, an iconic 135-metre-high structure with a 360-degree observation deck at the very top. Its full facade is supposedly going to be a high-resolution projection and lights screen. The district, which is estimated to be complete in just four years, will also house a cruise ship port and terminal, a shopping mall, an events arena, residential buildings, hotels, offices, retail stores, public services, restaurants and cafes. 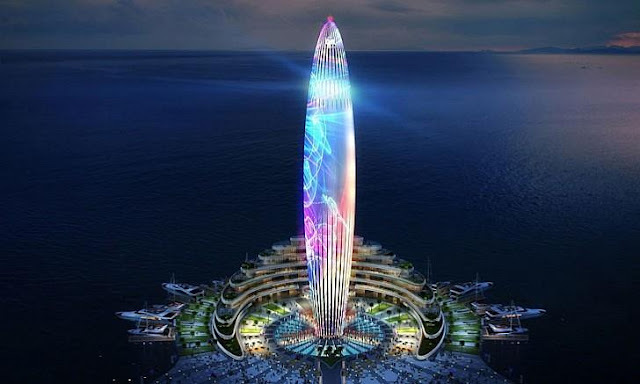 0 Response to "Plans for Dubai Harbour Unveiled"